There is no place I would rather live than here in Charlotte. Currently my husband and I live on the Charlotte-Matthews border just off Independence and it’s the perfect distance (and price point) between Uptown and suburbia for me. One of my favorite parts of living in Charlotte is the personality each neighborhood contributes. I spent the first 10 years of my life in the University City area, but my family moved out to Union County when I was in fifth grade and I got more of a small-town experience through my teen years. Let me just say: Union County does not get enough positive attention. Most coverage is centered on the explosion of construction happening in the Weddington and Marvin area, or the ongoing feud between the school board and county commissioners, but there are also small towns deserving of our attention and business. 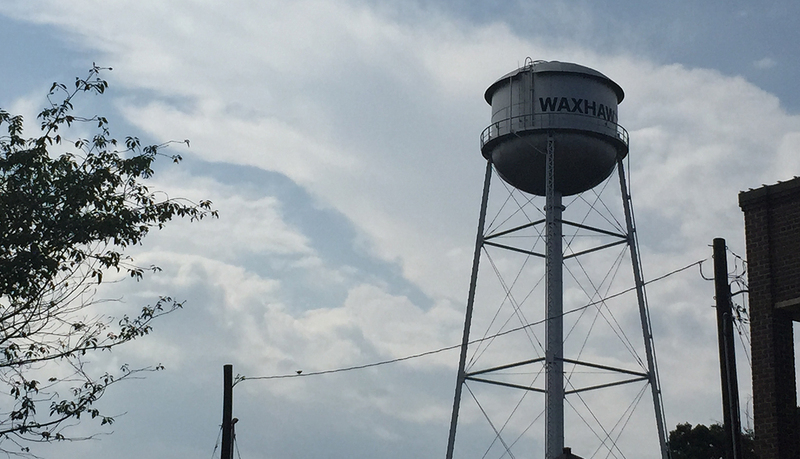 Waxhaw is one such town. If you drive all the way down Providence Road toward South Carolina, you will come across a quintessential Main Street with a small town feel that deserves recognition beyond its 4th of July parade and Christmas festivities. My first experience with Waxhaw was in 2010 when my parents rented a home nearby and my family fell in love with the area. 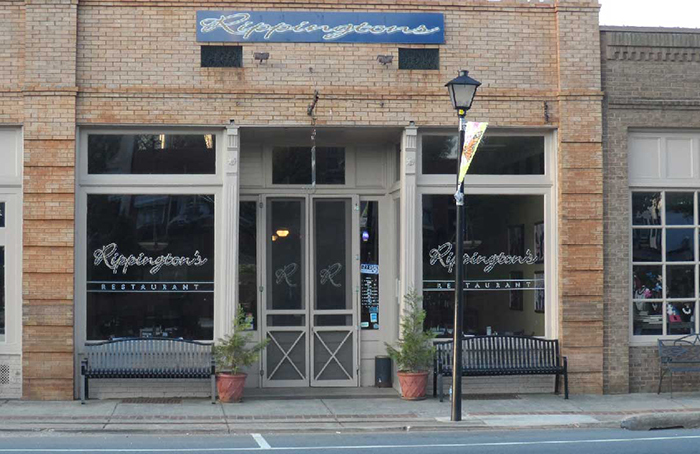 One of our favorite restaurants is on Waxhaw’s main street – we celebrated my wedding and my sister’s high school graduation there – and the shop owners on Main Street are some of the friendliest and most accommodating I’ve met. Like any good friend would, I want to share with you a few places you should make time to visit – whether on a Saturday afternoon with the family or a date night, it’s the perfect place to go. This is one of my family’s all-time favorite restaurants. Their food is first-class and varies from fresh salads (trust me– try the Grilled Chicken and Strawberry Salad) to on-point specials (the grilled mahi and steak specials are always worth the splurge). Delicious sandwiches and wraps are available at lunch and dinner. 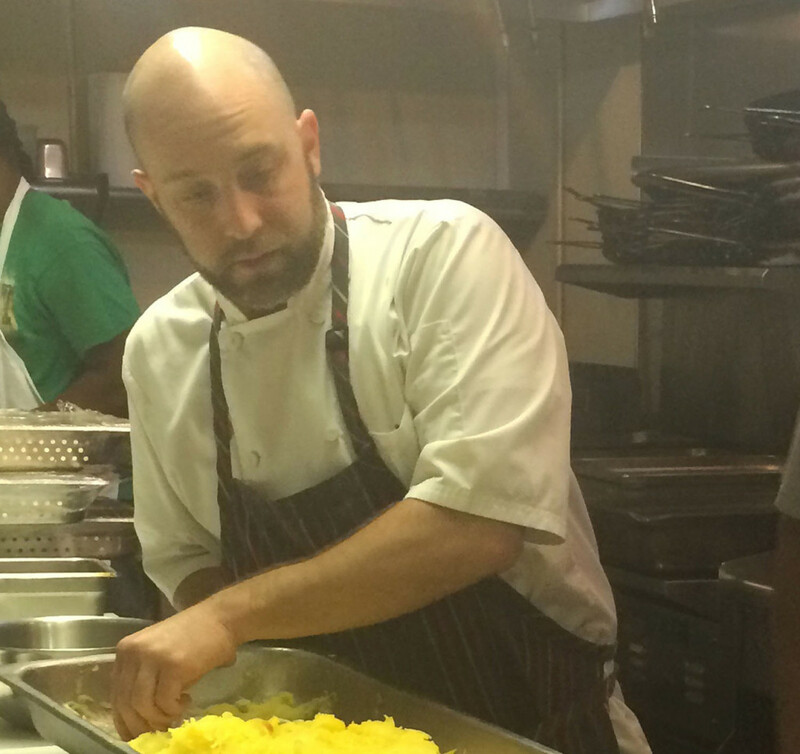 Their Sunday brunch—hello Chicken Crepes and French Toast—is also a great weekend staple. Their bar, often manned by the owner, Martin Sexton himself, offers a great beer and wine list, but no liquor is served. If you are a wine drinker, please do yourself a favor and order the Sean Minor red blend. It will change your life and is not available in most stores. As for dessert, I insist you try the triple layer ice cream pie (pictured below) or the cheesecake, both made in house. All menus are available on their website; reservations are not required. 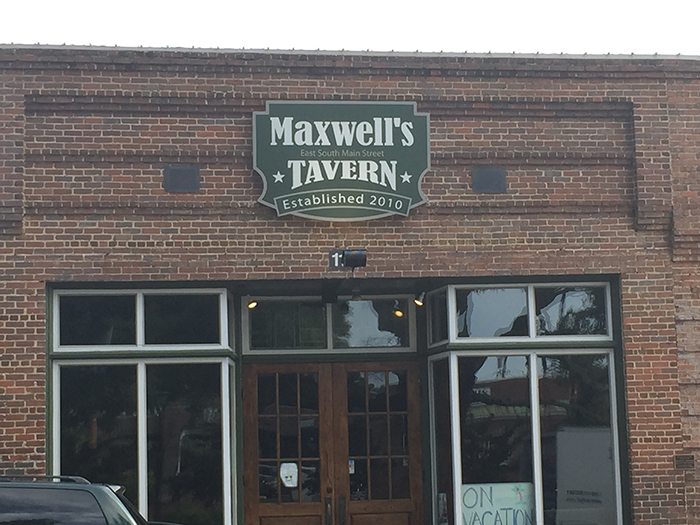 I consider Maxwell’s to be Waxhaw’s sports bar—there are several TV’s around the perimeter of the room and their menu fits the bill. Maxwell’s salads, wings and burgers are fabulous and the atmosphere is fun. They serve sports bar staples like fried pickles, onion rings, and potato skins. Their entrees also offer additional options past your typical bar food, including a ribeye steak, and bone-in porkchops. The tavern advertises its NFL Direct TV Game Day package, so arrive early if you plan on going to watch a game with friends. They have sixteen beers on tap, offer flights, and promote the occasional TGIF Fish and Chips special. 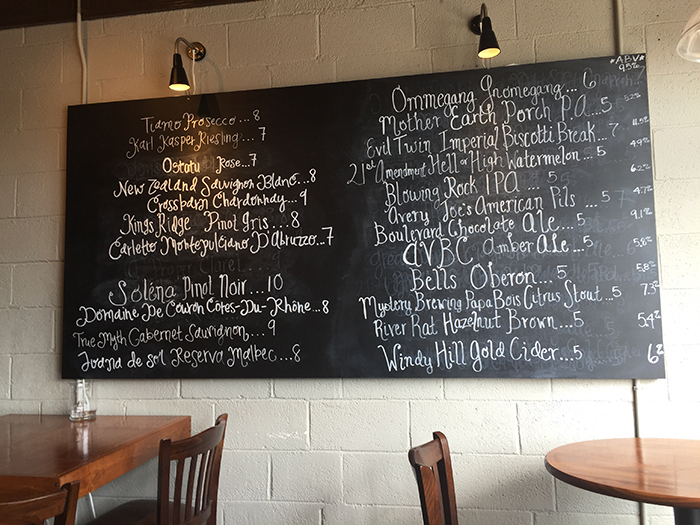 The restaurant is closed on Mondays, but makes up for it with $3 NC bottle craft beers on Tuesdays and other drink specials that you can find on their Facebook page. 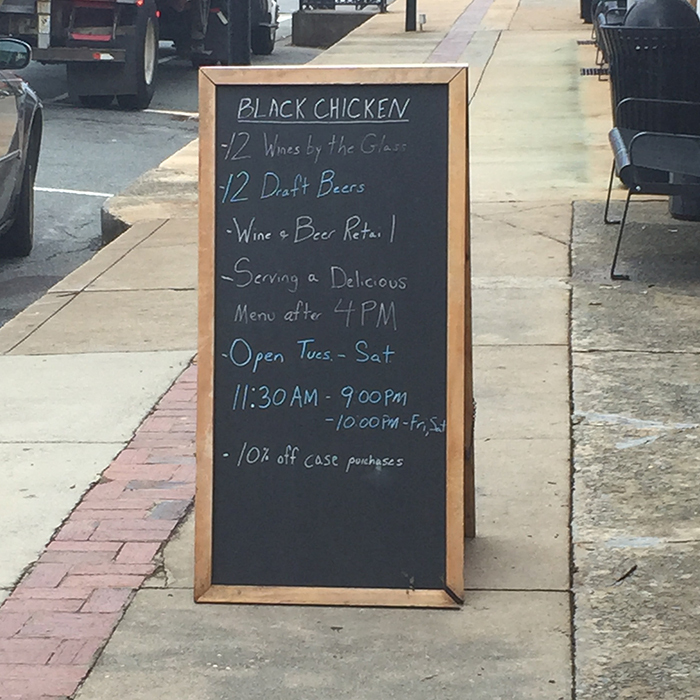 Black Chicken is a great pre- or post-dinner stop for a glass of wine or beer with girlfriends or a significant other that you might have visited in Matthews, but I encourage you to visit Waxhaw’s location as well. Think Craft or Good Bottle, but in Small Town, USA style. There is a small bar in the back and an outdoor patio area off to the side. They offer drinks by the glass, listed on a large chalkboard at the front of the store, or you can pay a $1.50 corking fee to drink a purchased bottle there. 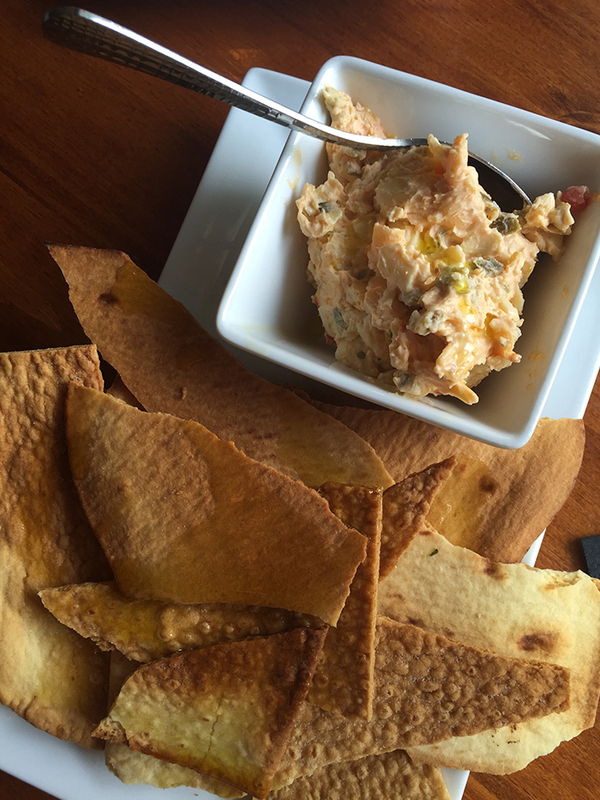 The menu includes appetizers, dips, small plates, and flatbreads. My friend Brooke and I visited this week and enjoyed the jalapeño pimento cheese dip from Queen Charlotte Pimento Cheese Royale, which is only available in select small groceries. I enjoyed a glass of the Riesling and Brooke tried a bottle of Not Your Father’s Root Beer at the suggestion of another customer. 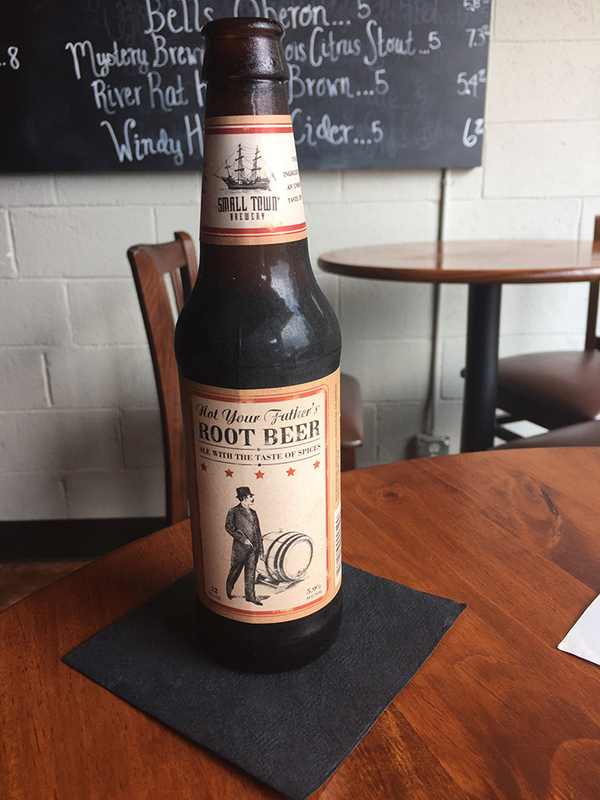 (It is alcoholic and tastes exactly like regular root beer!) Everything was delicious! This location is closed on Sunday and Monday, but is open from 11:30-9:00 Tuesday – Saturday. 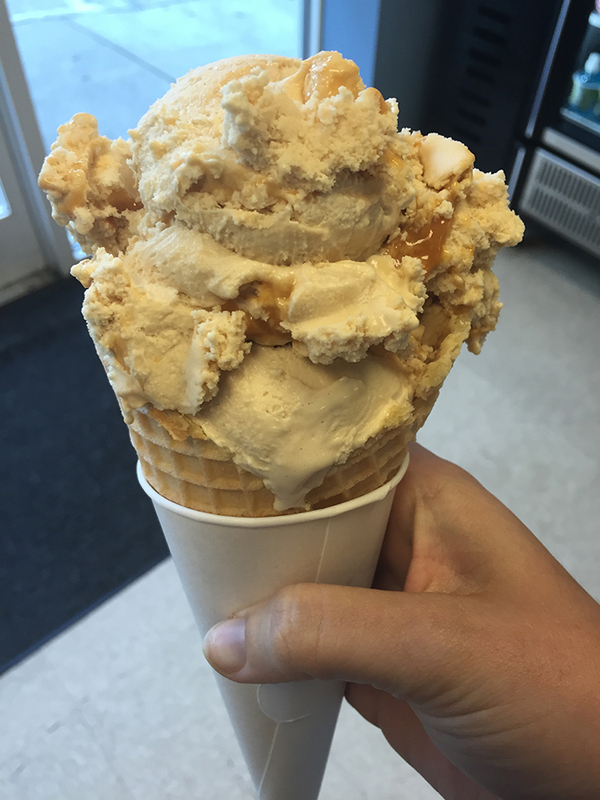 Waxhaw Creamery is another delicious reason to take a drive to Waxhaw. 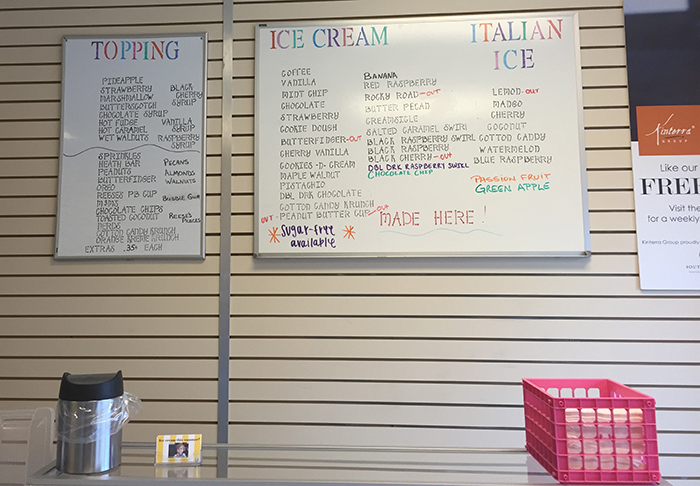 They have homemade ice cream and Italian ice. I asked the employee working about the most popular ice cream flavors and she mentioned the Salted Caramel Swirl and Butter Pecan. I opted for the Salted Caramel Swirl in a waffle cone and was not disappointed. If you have a hankering for ice cream, skip the Ben & Jerry’s pint and visit this creamery for the real deal. While Waxhaw’s Farmer’s Market is on the smaller side compared to Matthews and Charlotte, their wares are equal in quality and variety. The market is open on Saturdays from 9:00-1:00 and there is always a fun crowd. Waxhaw has several antique stores—Waxhaw Antique Mart and Antiques on Main—that several friends swear by. Neither store has a website, but they both offer positive customer experiences and have great antiques for your home. Just ignore the creepy dolls with vacant eyes, unless you’re into that kind of thing. Provisions sells a variety of local produce and also has a small shop that sells sandwiches (the egg salad looks incredible), soups, and salads. They even have curbside service! The market is open until 8:00 and the sandwich shop takes orders until 7:00. The sandwich shop just opened this month, so come show support for this new business! If you are in the market for beautiful furniture for your home, Bella Dimora has a wonderful collection. Their products vary from rugs and candles to bed frames and entertainment centers. You will also have the pleasure of meeting Princess Grace and Hunter, the two golden retrievers who “staff” the shop. Their owner is knowledgeable in home décor and will be happy to help furnish your home. 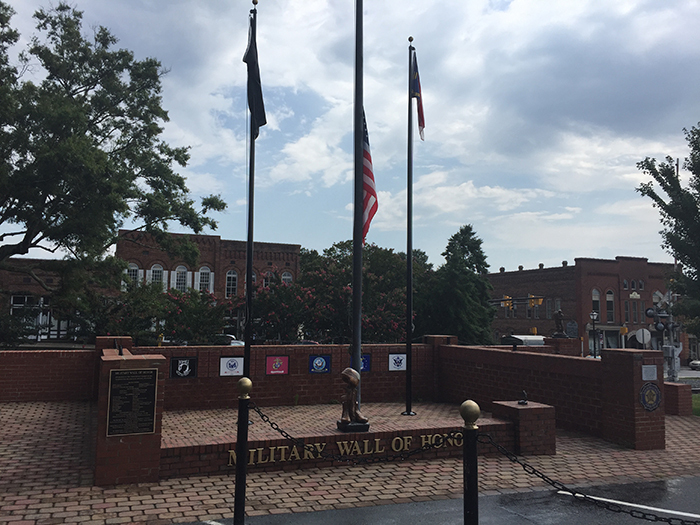 Another special section of Waxhaw is the Military Wall of Honor, which features the names of local veterans and fallen heroes. Since its completion in 2004, the community has added more than 500 bricks to the wall. All branches of the military are represented. In this photo, the American flag was at half-mast in memorial of the victims in the Chattanooga shooting. 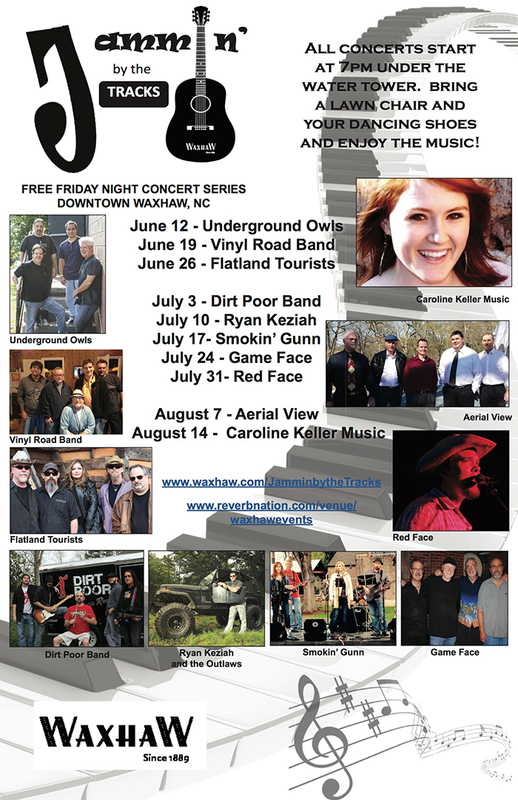 This is a free Friday night concert series under the Waxhaw Water Tower. There are still several summer dates left to check out! If you like country music, I highly suggest attending on August 14 to enjoy Caroline Keller’s performance. We were involved in high school theatre together and she is a great local talent! Looking for an educational experience? Visit the Museum of the Waxhaws, which is a history of the region and a memorial for President Andrew Jackson that opened in 1996. It is a nonprofit organization that is open three days per week to the public—Friday, Saturday, and Sunday. Permanent exhibits include a representation of a Waxhaw Indian Village, the Secrest Homestead, and the Heritage Garden. Admission costs are: $5 for adults; $2 for children ages 6-12; $4 for seniors; free for children ages 5 and under.